The magnificent King Cetshwayo District Municipality is located in the north eastern region of the KwaZulu-Natal Province on the eastern seaboard of South Africa. It stretches from the agricultural town of Gingindlovu in the south, to the uMfolozi River in the north and inland to the mountainous beauty of rural Nkandla. The N2 highway links the district to other significant economic centres such as Durban and Johannesburg. It also offers a direct route to Maputo in Mozambique. The development of the Richards Bay Industrial Development Zone is boosting economic activity and attracting international investors. King Cetshwayo District has a good climate and an abundance of natural resources. The arable land is suitable for large- scale agricultural initiatives, like the present sugar and forestry as well as specialised and intensive agricultural opportunities like natural oils and fruits cultivation. The intrinsic beauty and cultural heritage of the area enhances the opportunities for tourism in the district. The district has the third highest population in the Province. King Cetshwayo District is characterised by low levels of urbanisation; approximately 80% of the people live in the rural areas. The district is further characterised by large infrastructure backlogs, particularly in respect of water and sanitation mainly in the rural areas. 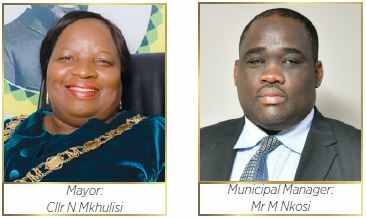 The King Cetshwayo District Municipality comprises the local municipalities of City of uMhlathuze, uMfolozi, Mthonjaneni, Nkandla, and uMlalazi. The City of uMhlathuze comprises the economic powerhouse of Richards Bay and Empangeni, and its supporting areas of Esikhawini, Ngwelezane, Nseleni, Felixton, Vulindlela, and rural areas. The City of uMhlathuze is the commercial and economic hub in the northern part of KwaZulu-Natal, and a key centre and driver of growth in South Africa. The municipality has the benefit of about 45 km of coastline of which about 80% is in its natural state. Linked to its coastal locality is the Richards Bay deepwater port that has been instrumental in the spatial development of the area in the past and will definitely impact on the area's future development. The uMfolozi Municipality is located close to the St Lucia Estuary, a world heritage site, and to the popular fishing spot of Mapelane as well as the world-famous Hluhluwe-Umfolozi game reserves. The main town of KwaMbonambi is located close to the N2 highway, the national artery, which runs from Cape Town to Mozambique carrying investors, business and tourist traffic. KwaMbonambi is in close proximity to the harbour and industrial complex of the City of uMhlathuze, comprising the towns of Richards Bay and Empangeni. The Owen Sithole College of Agriculture, which is located in the area, contributes to the advancement of agricultural research and training. KwaMbonambi, with its abundance of land has been as identified as a primary development node. There is potential for residential and an industrial development, as well as the expansion of its welldeveloped timber industry. Mthonjaneni Municipality is approximately 170km north of Durban. Mthonjaneni is one of the smallest municipalities in South Africa, but it has the distinction of being regarded as one of the healthiest places to live in this country. Melmoth is a commercial centre for its surrounding rural areas within the municipal area and is one of the administrative centres of economic significance in the District. It is evident, that cultivated land and forestry forms the backbone of the rural economy, situated mostly on both sides of the N2 with large forestry areas evident. The Municipality of uMlalazi covers one of the largest geographical areas of all municipalities in South Africa, with a total area of some 2300km2. The municipal area includes a coastline on the Indian Ocean of some 18km together with a considerable rural hinterland. Eshowe, 'the place of cool breezes', has been chosen throughout history for its climate and is now the sub-regional centre and has the most diversified economy. Eshowe is situated near King Shaka's famous KwaBulawayo kraal. Nkandla is situated in a remote area of breath-taking mountainous beauty, which consists mainly of tribal lands and state-owned land. The area has a wealth of undisturbed forests, which boast many indigenous species. Nkandla has a claim to be the 'cradle' of Zulu history. 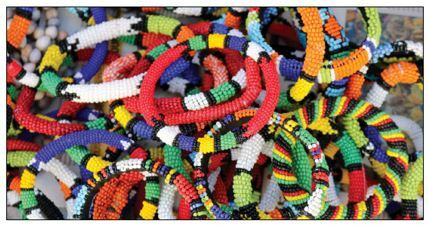 From Malandela to Shaka, to Dingane and Cetshwayo, Nkandla has been at the centre stage of the Zulu nation's history. Nkandla Town is the only urban area in Nkandla Municipality which offers the full array of urban development, albeit at a smaller scale compared to most towns in KwaZulu-Natal, are found. This includes low density residential, active and passive open space, schools, commercial areas, serviceindustries, churches, offices, government buildings and services, financial services, etc. An economically sound district with effective infrastructure and a district that empowers people; protects the environment and demonstrates leadership excellence. To achieve cost recovery on services provided.